Park specific natural communities coming soon. The Acidic Oak - Hickory Forest grows on convex slopes underlain by sedimentary and metasedimentary bedrock in the Central Appalachians. 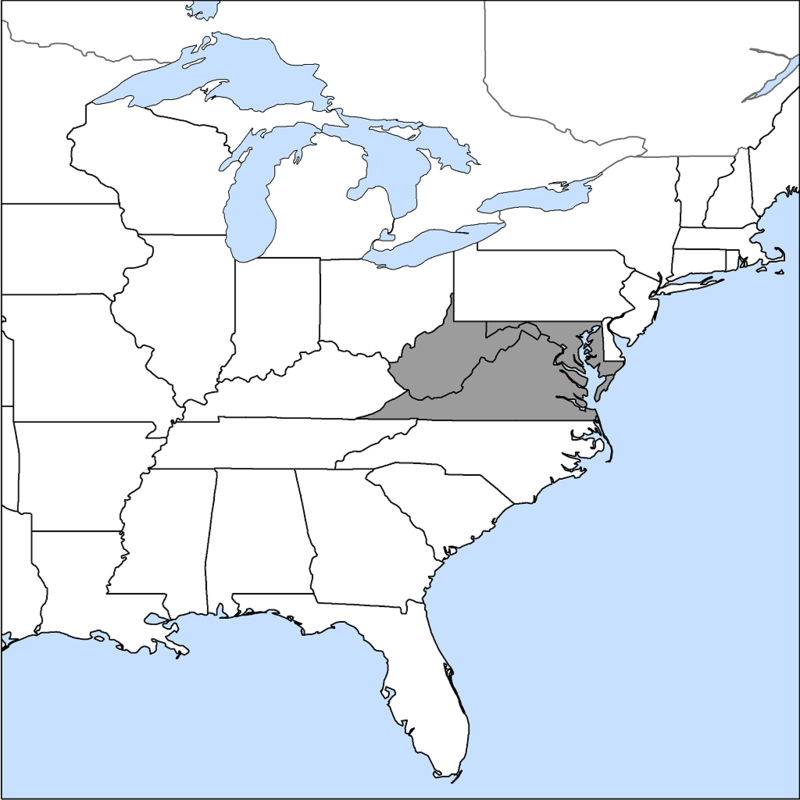 The range map shows the states in which this natural community has been documented. Expect to see a variety of oaks and hickories (particularly chestnut oak, white oak, black oak, and pignut hickory) in this community, as well as red maple and Virginia pine. In the understory , look for flowering dogwood, common serviceberry, hillside blueberry, and deerberry. On the forest floor, you may see poverty oatgrass or striped prince’s-pine. Because the soil in this natural community tends to be thin, acidic , and infertile , trees here are shorter and more widely spaced than trees in the Acidic Oak - Hickory Forest, which grows on more fertile soil.